Wednesday evening will see River Plate play its most important continental in a generation when they face Colombian side Atletico Nacional. 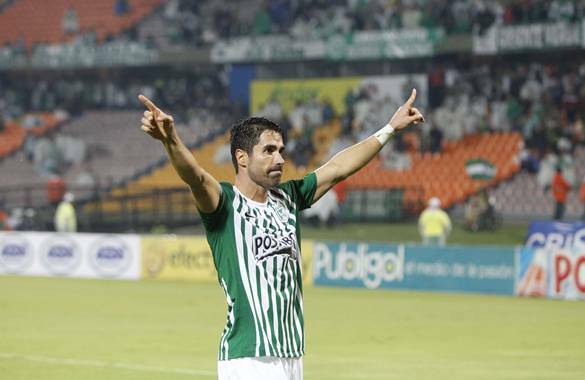 The game will mark the final appearance of former Aston Villa striker Juan Pablo Angel in professional football. Incredibly, 39-year-old Juan Pablo Angel faced off against River in their 1997 Super Cup winning campaign. He then joined the club, and alongside Javier Saviola, Ariel Ortega and Pablo Aimar the striker completed an attacking quartet dubbed “The Fantastic Four”. “It was a dream to play in that great institution River Plate, I had one of the best times in my career because I was there with brilliant players, in a great team” Ángel later recalled of his time at the club.